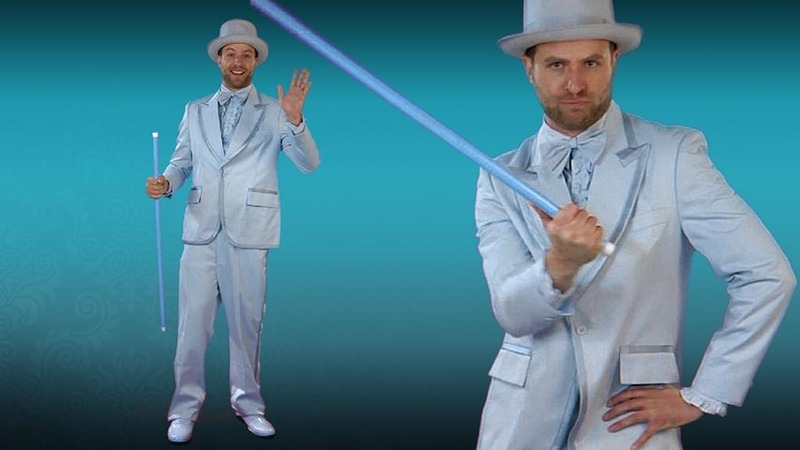 Show your colorful personality in this Deluxe Baby Blue Tuxedo and add our matching baby blue shoes, cane and top hat and you'll be the life of the party--just keep your eyes open for your big break!Fans of the movie Dumb and Dumber can wear this along with a Harry wig and become the bumbling pet groomer portrayed by Jeff Daniels. Get an orange tux so your best buddy can be Lloyd, and set off on an adventure. This tux is very well made and looks very similar to vintage tuxes I have found. 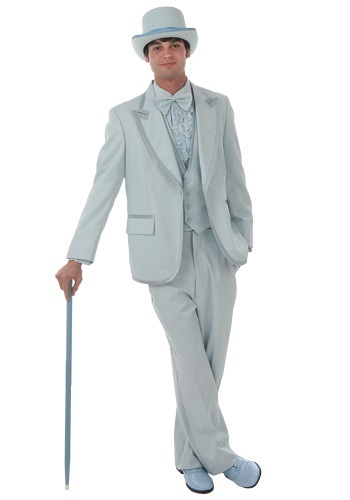 A very well constructed tuxedo with a perfect vintage look. Highly recommended.